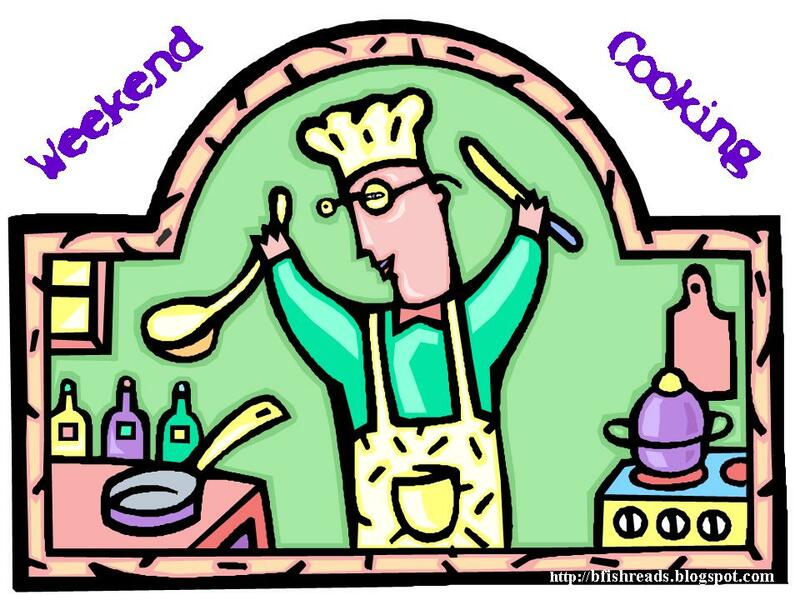 Peaceful Reader: Weekend Cooking-Is it still the Weekend? 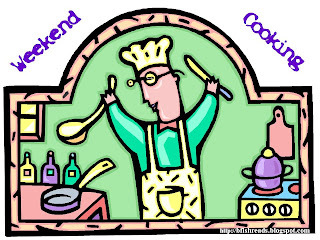 Weekend Cooking-Is it still the Weekend? Here it is the evening of the weekend and I'm just getting to my food-related post for Weekend Cooking hosted by Beth Fish Reads. I look forward to this event all week and I have been online a lot this weekend, Christmas shopping on Shutterfly, building calendars for my Mom, my in-laws and my other parents in AZ. They are gorgeous, combining a wide variety of photos from this past year-our trip to Michigan, their visits here, and Teenage Boy's Alaskan fishing trip as well as all the usual Halloween costumes, and a few of the cute cousins thrown in!! According to Shutterfly they should still make it by the 24th. Considering I started assembling them on Wednesday night that's not bad but I'm really hoping it's true. I hate to have worked so hard on something only to have them come December 31st. I am joyful they are finished and that part of my "shopping" is done!! Artisan Bread in Five Minutes a Day is one of my most treasured recipe books-you can tell by all the sticky notes fanning out from the book. I love making fresh bread 'cuz it goes with every meal, especially in the winter when many of my meals are soup-related or hearty. 1. Warm the water slightly: It should feel just a little warmer than body temp., about 100 degrees F.
3. Mix in the flour-kneading is not necessary. Add all the flour at once, measuring it in with dry-ingredient measuring cups, by gently scooping up flour, then sweeping the top level with a knife or spatula; don't press down into the flour as you scoop or you'll throw off the measurments. Mix with a wooden spoon, until it gets to difficult, then use your own wet hands. Don't knead-just incorporate the flour so everything is uniformly moist. 4. Allow to rise: Cover with a lid (not airtight). Do not use screw-topped bottles or mason jars, which could explode as dough rises. Allow the mixture to rise at room temperature until it begins to collapse, approximately 2 hours. Longer rising will not harm the result. You can use a portion of the dough now if you like. Fully refrigerated wet dough is less sticky and is easier to work with than dough at room temperature. Best to refregerate a day first before working with it. 5. Baking Day: Sprinkle pizza peel with cornmeal. Sprinkle the surface of your cold dough with flour. Pull up and cut off a 1-pound [grapefruit-size] piece of dough, using a serrated knife. Hold the mass of dough in your hands and add a little more flour as needed so it won't stick to your hands. Gently stretch the surface of the dough around to the bottom on all four sides, rotating the ball a quarter-turn as you go. Most of the dusting flour will fall off; it's not intended to be incorporated into the dough. The bottom of the load will seem a bit bunchy but it will flatten out during rising time. The correctly shaped final loaf will be smooth and cohesive. 6. Rest the loaf and let it rise on a pizza peel: Place shaped ball on the cornmeal-dusted pizza peel. Allow the loaf to rest on the peel for about 40 minutes. Depending on the age of the dough, you may not see much rise. 7. Twenty minutes before baking, preheat oven to 450 degreesF., with a baking stone placed on the middle rack. Place an empty broiler tray for holding water on any other shelf that won't interfere with the rising bread. 9. Bake with steam: After the 20-minute preheat, you're ready to bake, even though your oven won't yet be up to full temperature. With a forward jerk, transfer loaf from one stone or peel to the hot stone in the oven. Quickly but carefully pour about 1 cup of hot tap water into broiler tray and close the oven door. Bake for 30 minutes or until crust is nice and brown. Allow to cool completely on a wire rack. 10. Store remaining dough back in your refrigerator in lidded container and use over the next 14 days. That means each time you make a delicious dinner-it just takes a few minutes to have fresh bread with your meal. YUM!! It looks like a lot of steps but it is really quite easy. If I can handle it; anyone can handle this recipe. Make this part of your holiday baking. Fanny would make a great gift!